The Pico remote control is a convenient way to control Lutron Wireless dimmers. With the Pico you can turn lights on or off and brighten or darken them from anywhere in the room. You can use the Pico as a handheld remote, mount it on a wall, or mount it on a tabletop pedestal. You can also use the Pico remote control to turn on the lights from the safety of your car as you arrive home. The Indoor Wireless Remote is the perfect tool for any home resident who wishes to control their device from afar. The Indoor Wireless Remote is ideal for indoor lighting, lamps, and appliances with a remote control capable of operating at distances up to 80ft away. The Indoor Wireless Remote features one (1) grounded outlet for those heavy duty devices and is perfect for those who lack mobility. You can even turn your light or plugged-in device ON/OFF from your car so you don't arrive to a dark or quiet home. The Indoor Wireless Timer is tool-free, requires no wiring, and the 12V remote battery is included. Just plug-in your receiver to the wall, and your device into the receiver, and you can begin to operate with the remote. Rated for indoor use and compatible with CFL, LED, and incandescent bulbs. Maximize your energy savings and take control of your home with this Indoor Wireless Remote. 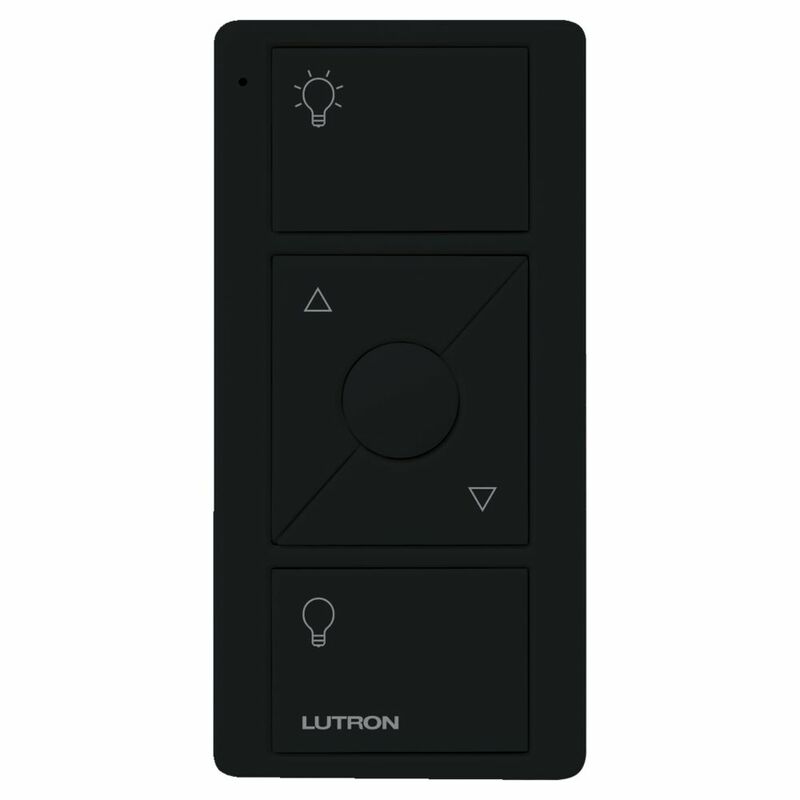 Pico Remote Control for Caseta Wireless Dimmer, Black The Pico remote control is a convenient way to control Lutron Wireless dimmers. With the Pico you can turn lights on or off and brighten or darken them from anywhere in the room. You can use the Pico as a handheld remote, mount it on a wall, or mount it on a tabletop pedestal. You can also use the Pico remote control to turn on the lights from the safety of your car as you arrive home.